Boasting off different hair styles can cause many hair problems. Hair fall or hair loss one of the foremost problems faced by a woman. There are tons of natural solutions for hair problems. 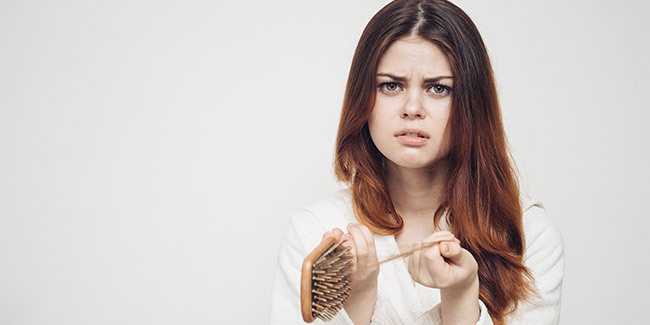 This is the most common hair problem faced by women today. Dandruff is the manifestation of small, scaly particles found at the root of the hair i.e. at the base. Reasons for the accumulation of dandruff may be put down to a poor diet, stomach infection and even to a slow rate of metabolism along with other diseases. In today’s stressful life, work pressure and tension can also be a reason for dandruff. What is more important is that one should know the difference between a flaky scalp and the state of dandruff. One must identify the condition correctly and appropriately and only use anti-dandruff products to cure this condition. Split ends refer to a split at the outer end of the hair. A split end occurs when the tip of the hair becomes dry and brittle and begins to split. This condition is usually caused by the numerous styling efforts that a woman’s hair goes through. These might include over combing or over brushing of the hair, giving the hair a perm frequently, improper usage of heated hair appliances, constant colouring of hair etc. Lack of conditioning of hair can also go a long way in giving rise to split ends. Frizzy hair is mainly caused due to a drop in the level of moisture in the hair below normal levels. 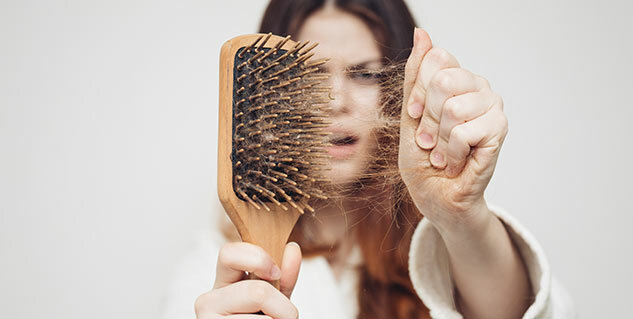 Sometimes, brushing hair repeatedly can also lead to split ends as does the passing of genes from the parents to children. It is therefore, very important to identify the potential causes of frizzy hair and tackle the problem. Many women suffer from a flaky scalp. A flaky scalp refers to the white flakes of dead skin that hold back the growth of hair and often leads to hair loss. It is important, therefore, to consume food with essential vitamins. Minimise the use of styling products that have a high chemical content. Sometimes, hair tend to gum up after a certain treatment. This seems inappropriate, especially, in cases when one needs to style hair on a regular basis. One of the main causes of this condition is the usage of hard water for washing one’s hair. There are risks associated with using hair-dying products. Hair dye chemicals have been shown to have a variety of harmful effects. Use of hair dye has been linked to allergic reactions, respiratory disorders and even cancer or anaphylactic shock. Therefore, it is very important to take good care of healthy and lustrous locks! Read more articles on Beauty and Personal Care.